By Daniel Pauly, a marine biologist and project leader of the Sea Around Us Project at the Fisheries Centre at the University of British Columbia. This article was first published by chinadialogue. 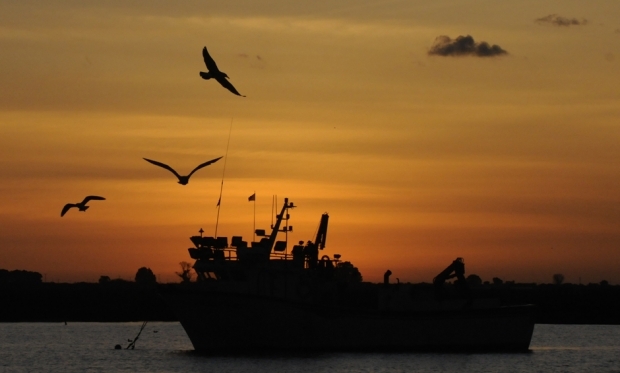 It is well-known that overseas fishing fleets are more cavalier in terms of respect for laws and regulations than their domestic counterparts. There are innumerable examples from all over the world of fishing with gears that are not part of agreements, or catching amounts of fish above agreed quotas. China’s fleets are no exception to this and, as the largest of any country in the world, could be having a particularly acute impact on the resources of host countries. Overseas fleets, also known as “distant-water fishing fleets,” are a country’s fishing vessels which operate inside the 200-mile Exclusive Economic Zones (EEZs) of other countries, and less commonly farther offshore, in the high seas. For a small fee, some countries—Panama, Liberia, and Belize, for example—will provide so-called “flags of convenience” to the vessels of distant-water fishing countries, disguising the vessels’ true country of origin. Most distant-water fishing takes place in the context of a paragraph of the United Nations Convention on the Law of the Sea (UNCLOS), which states that the “surplus” of fish not caught by a given country in its EEZ must be made available to the distant-water fleets of other countries against a fee that is part of a negotiated “access agreement.” Most of these agreements are international public documents, and are published by the United Nations or the European Union. 3) The Chinese authorities and scientists are not publishing catch statistics or stock evaluations for any of these fisheries. Thus, many knowledgeable people assume that China’s distant-water fleets—legally or illegally—catch well above the surplus in the countries where they operate and hence deprive the host countries of fish they could have caught. This is particularly acute in Africa, where Chinese distant-water fleets are massively deployed, again on the basis of secret agreements, or even in the absence of any agreements. There, they may directly compete with local artisanal fisheries, which in several countries fail to provide fish for consumption to the local population, leading to unemployment and endangering long-term local food security. It is, therefore, important to assess the impacts of such distant-water fisheries, including China’s, on the host countries’ fisheries resources. Step 4: repeating Step 3 for 10,000 times to account for the uncertainty in steps 2 and 3, and assess the uncertainty in the total catch estimate. We found in Step 1 that China operates in over ninety countries, and all oceans and regions of the world, except in the Caribbean, the North Atlantic, and the Arctic. Steps 2-4 did not provide an exact value for the catch of distant-water fleets by China, but rather estimates ranging from 3.4 to 6.1 million tons per year between 2000 and 2011, with a most likely value of 4.6 million tons per year. We do not think that our estimate is definitive, only that it is a possible estimate, and one that is more likely than the official estimates of China’s distant-water fishing catch as submitted by China to the Food and Agriculture Organization of the United Nations (FAO). We hope that our publication will generate a debate in China and in the countries in which China operates, notably in West Africa, where it takes the bulk of its catch, about three million tons per year. Now that China is a fully participating member of the international community, it will have to adhere to its rules. In fisheries, this means an adequate level of transparency and the provision of reasonable catch data to national, regional, and international fisheries management organizations, which scientists of various countries can use to make inferences on the state of the stocks. We personally believe that this will happen and we look forward to working with Chinese colleagues on this.